Samantha DeNinno is a sophomore history major with a minor in Spanish. 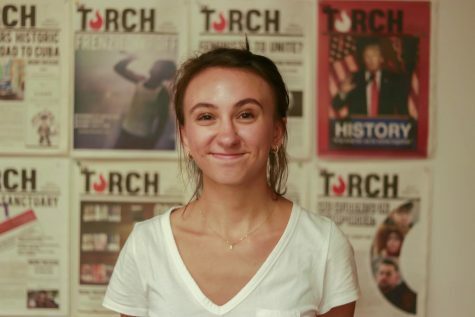 She started working at the Torch last fall as a copyeditor and staff writer before becoming the Assistant Entertainment Editor in the spring semester. This year, she hopes to capture the essence of St. John’s University and current world culture with more in-depth pieces, in both the print and online pages, through the use of increased participation from students, writers and faculty.